Information on EV Charging Stations in metro Atlanta. 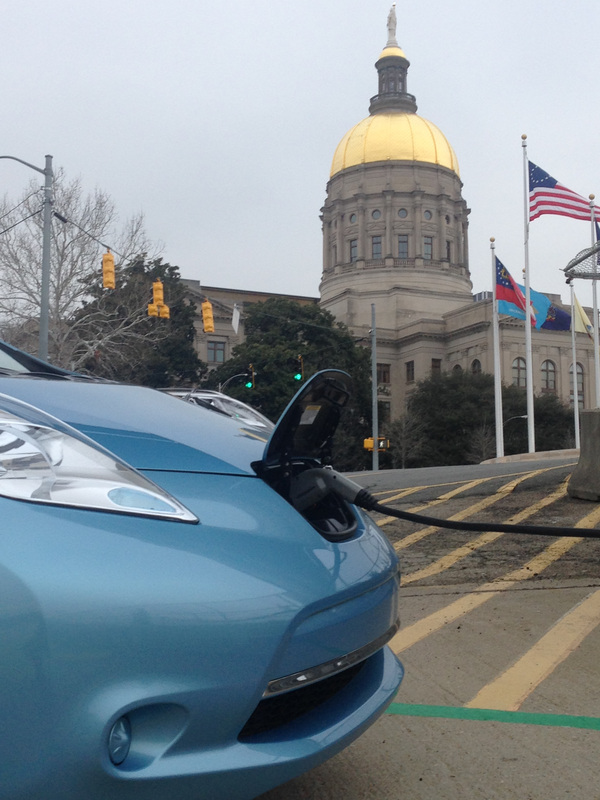 With the 2016 Georgia General Assembly session coming to its close, there was no action taken on either Bill introduced to reinstate a graduated EV tax credit or to reduce the $200.00/year AFV road use fee. As the owner/operator of 3 EVs (2014 VOLT, 2015 LEAF and 2015 Tesla) my bill from the State of Georgia for annual registrations is a whopping $768.00! Ouch! With EV sales continuing to slide precipitously, a glimmer of hope lies in the establishment of an EV study committee by the Georgia State Senate; I hope to participate as both an EV driver and in my role as National Sales Manager for Current Powered by GE EV charging stations. The committee may not ramp up until after the summer, so check back for updates. Fortunately, the Federal Goverment reinstated its 30% Income Tax Credit with a $30,000 maximum per job site both retroactive to January 1, 2015 and expiring on December 31, 2016. Here’s a handy link to the Alternative Fuels Data Center, THE source for Federal, State and Local incentives information: AFDC Federal EV Charging Infrastructure Tax Credit. With the arrival of the 2017 Chevrolet VOLT, 2018 Chevrolet BOLT, Nissan LEAF and Tesla Model III (to be unveiled on March 31, 2016) many great new EV options with longer ranges and lower price tags will be available! Categories: #ElectricVehicles, #TaxCredit, #TaxIncentives, #Tesla, EV Charging Stations | Tags: #electricvehicle, #Georgia HB877, #taxcredit | Permalink.